As for those who take TOPIK I (Beginner) exam, you only need one answer sheet for 30 listening questions and 40 reading questions. 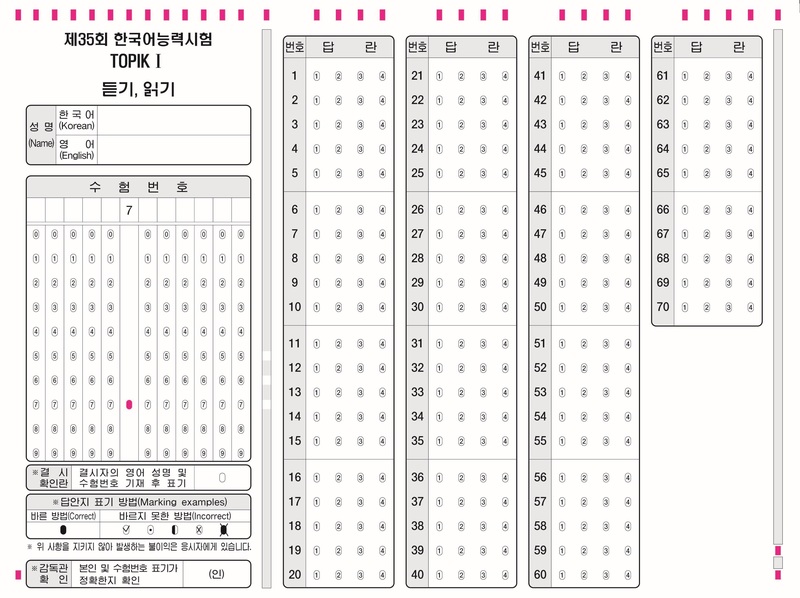 As for those who take TOPIK II( Intermediate- Advanced) exam, you will receive 3 answer sheets. In the first answer sheet, you have to write your name, exam numbers and do 50 multiple-choice listening questions. The second answer sheet is used for the writing part. The front side of the sheet is used for 2 short answers and a 300-character essay. Be careful that answers written outside the box or in the wrong box will not be graded. The back side of the answer sheet is used for a 700-character essay. Answer sheet for a 700-character essay. 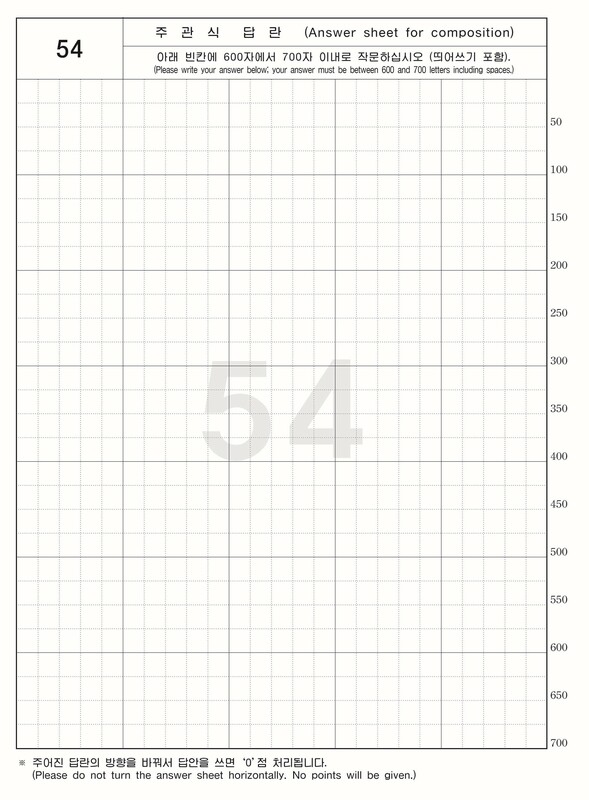 The third answer sheet is used for 50 multiple-choice reading questions. Thank you very much!! Really helpful! Hi.. can you help me or give me advice before taking 2015 TOPIK exam here in the Philippines? or send me email? Hello Jang Koii, thank you for your comment. You can read my tips and experience of preparing for the Topik exam on this link. thank you for the post. I know this was posted really long time back but i want to try and give my topik exam this year of 2017, so i was wondering whether they conduct the topik 1 and topik 2 exam on the same day or different days?